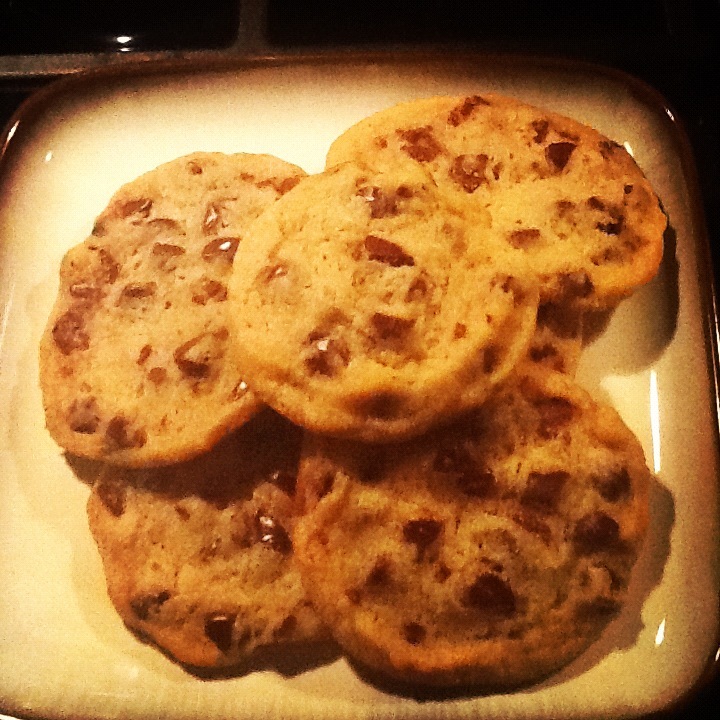 My husband and I love these cookies! So yummy!! Preheat the oven to 375 degrees. Line a cookie sheet with parchment paper or use a non-stick cookie/baking sheet. In a blender or mixer, whip the egg replacer and water together until it’s thick and creamy. In a large mixing bowl, cream the butter, granulated sugar, brown sugar, and vanilla. Add the egg replacer mixture to this wet mixture, and thoroughly combine. In a separate bowl, combine the flour, baking soda and salt. Gradually beat the flour mixture into the wet mixture until it begins to form a dough. When it is almost thoroughly combined, stir in the chips and nuts, if using. Bake on the cookie sheet for 8 to 10 minutes, or until golden brown. Let stand for 2 minutes; remove to wire racks to cool completely. Enjoy!